Home > Cities: who decides? 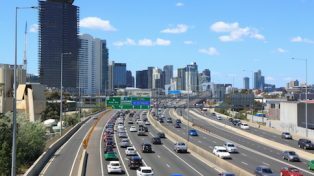 From population growth to climate change, the challenges facing Australia’s cities are immense. Hard decisions will be needed. But very little attention is paid to how these decisions might be made. At the launch of Grattan’s latest report, Cities: Who Decides?, Program Director Jane-Frances Kelly explained how cities around the developed world that have grown successfully usually involved their citizens in understanding and managing change.